Want to avoid getting razor burn, skin irritation and ingrown hairs when shaving your bikini line? Learn to shave this pubic hair area the right way with these essential tips. If you’ve ever shaved your bikini line, you may be familiar with some of the common after effects: razor burn, inflamed skin, ingrown hairs and skin irritation. Knowing how to shave your bikini line properly will minimize these occurrences. Here are essential tips for shaving pubic hair. 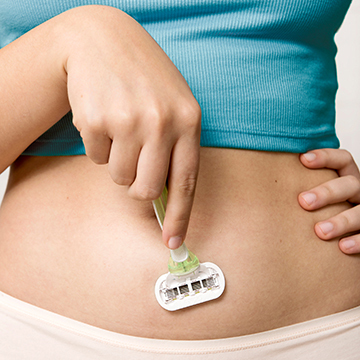 If your pubic hair is a little on the long side, you want to trim it first before you use a razor. You can invest in a bikini trimmer, electric shaver or use a pair of scissors to trim the hair around your bikini line. Then select a razor to finish the job. You don’t want to use a dull razor blade when shaving any area of your body, particularly your bikini line. 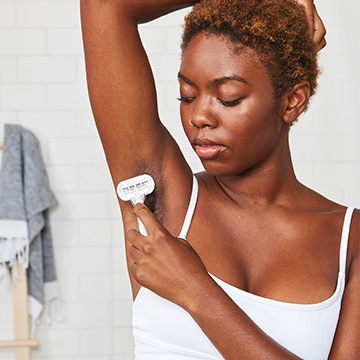 Replace your razor blade regularly — especially if it starts to pull at your hair, feels rough on your skin or if you notice you’re itching after shaving more than normal. These are all signs its time to replace your blade. 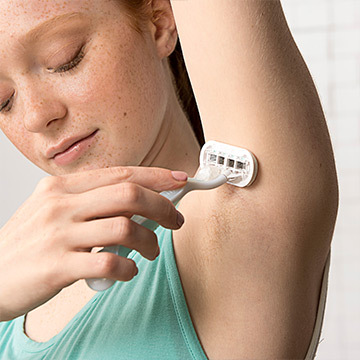 Using dull blades can actually increase chances of skin irritation. 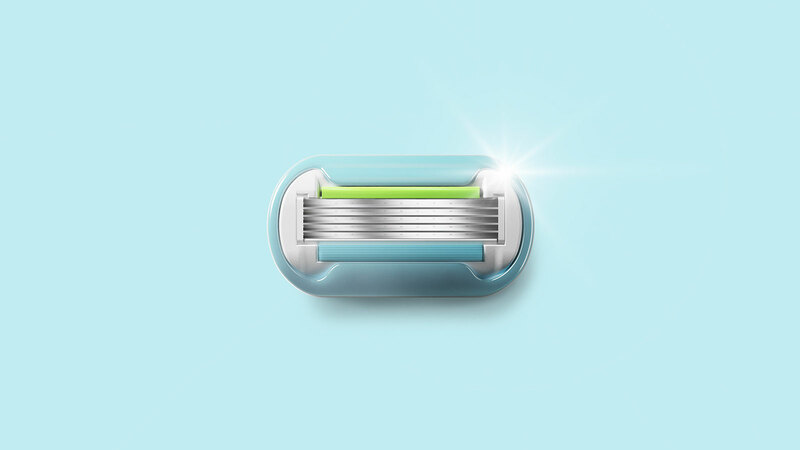 Depending how frequently you shave, a razor blade can last five to 10 shaves before you need a new one. 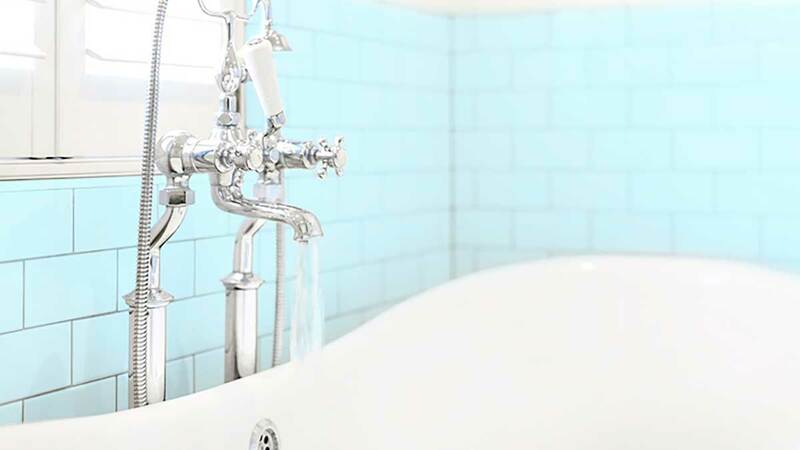 Soak your bikini line in warm water via a bath or shower for at least five minutes. This helps to hydrate both your skin and your hairs, making them easier to cut. Once you fully hydrate, consider exfoliating the skin around your pubic area. Use a loofa or gentle scrub and lightly rub along your bikini line to remove any lose dead skin and hairs. Exfoliation helps to reduce skin irritation from shaving. 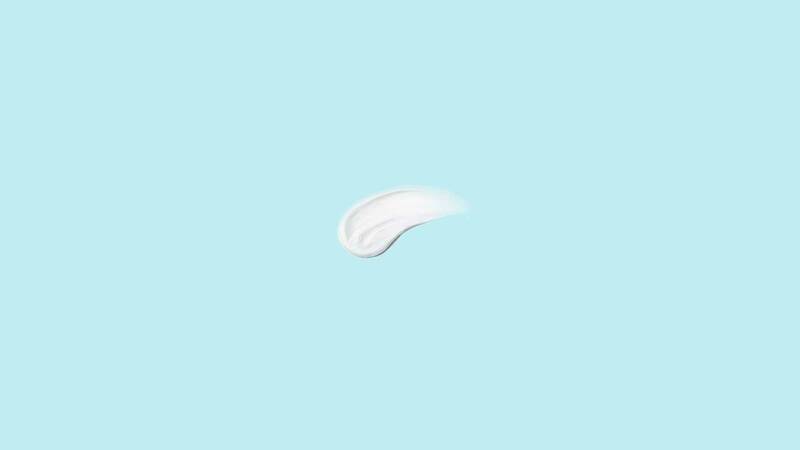 Using shaving gel is important, especially on more sensitive skin like your bikini line. Shaving gel helps the blade glide more easily across the skin, minimizing chances of razor burn and irritation. Reapply if it washes away during shaving. Using steady strokes, very lightly shave your bikini line in the direction of the hair growth. You do not have to apply much pressure on your razor. In fact, if you have a sharp blade, it should do most of the work for you. If gently shaving in the direction of your hair growth doesn’t give you a close enough shave, apply more shaving gel and carefully shave against the direction of the hair growth. Keep in mind how sensitive the skin is around your bikini line, so the fewer razor strokes, the better. 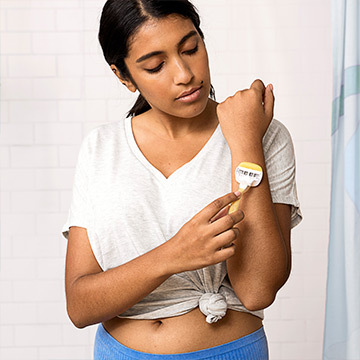 Once you’re finished shaving, rinse off your bikini line, ideally with cool water — or you can use a cold wash cloth and press it to your skin for a minute or two — then pat your skin dry. Make sure to also clean off your razor and set it aside to dry. After you dry off, apply moisturizer or oil, preferably alcohol-free, to both sides of your bikini line. 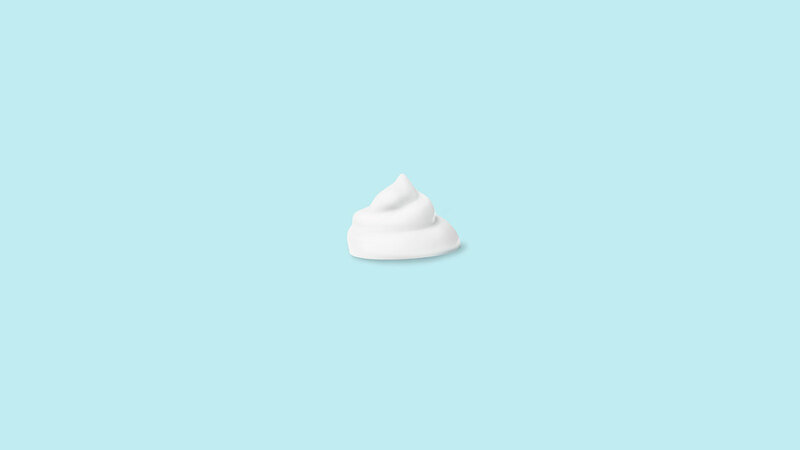 Since soap can dry out your skin, using a lotion or moisturizing oil after you shave helps prevent itchy irritation and maintain moisture your skin needs. 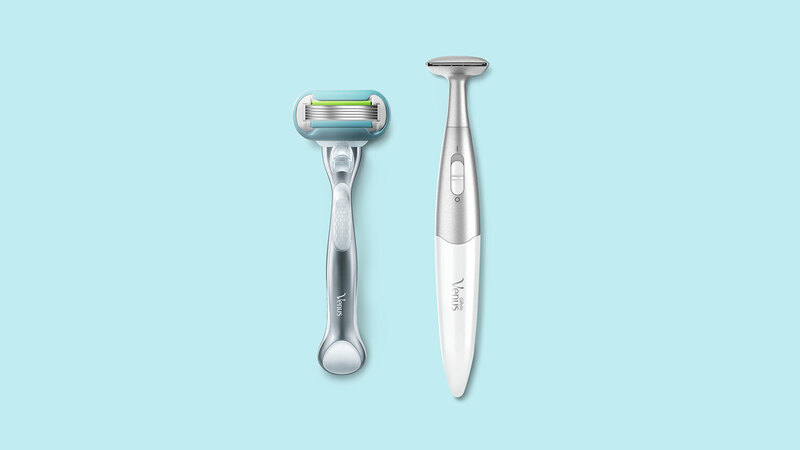 Need a new razor before you shave your bikini line? Learn how you can build your own. And click here to see the assortment of Venus shaving products available.